For those that don’t know it, Pampered Chef makes a pizza crust. Yes, that is correct, a pizza crust. They have a limited pantry in the catalog of items you can purchase like spices, etc. Now they have a couple of gluten-free options. I’m always skeptical of a gluten-free crust mix. You never know how they’re going to taste and, honestly, I only purchased this because I needed to complete my order. A good reason to try it out. The instructions on the package are very easy to follow. It is a simple recipe that only requires you to add a couple ingredients. Basically, you mix it up, let it rest for 20 minutes, and then add your ingredients. Very easy! 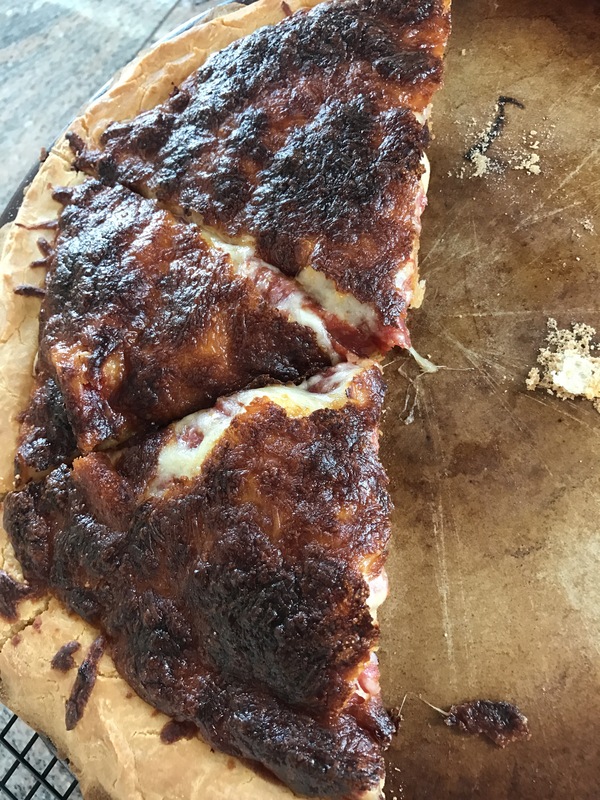 The pizza crust was amazing! The edges were nice and crisp and the middle portion got done very nicely as well, especially since I had so many toppings on it! I would definitely order this again. It was well worth the dollars!